They were killed in the antiterrorist operation (ATO) area. 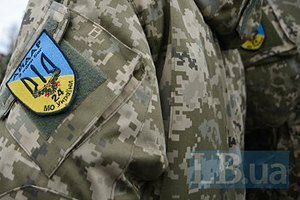 Two members of the Aydar assault battalion of the Ukrainian Armed Forces' Ground Troops have been killed. "We have two casualties. From Aydar's old guard. Uncle Kolya (Rovenskyy) and old Voron. Uncle Kolya had his demob order with him. Voron was also to be supposed to get demobilized," the battalion said on Facebook. They were killed by a landmine. As reported earlier, over the past 24 hours one Ukrainian serviceman has been killed and three wounded by a mortar attack in the Avdiyivka industrial zone.